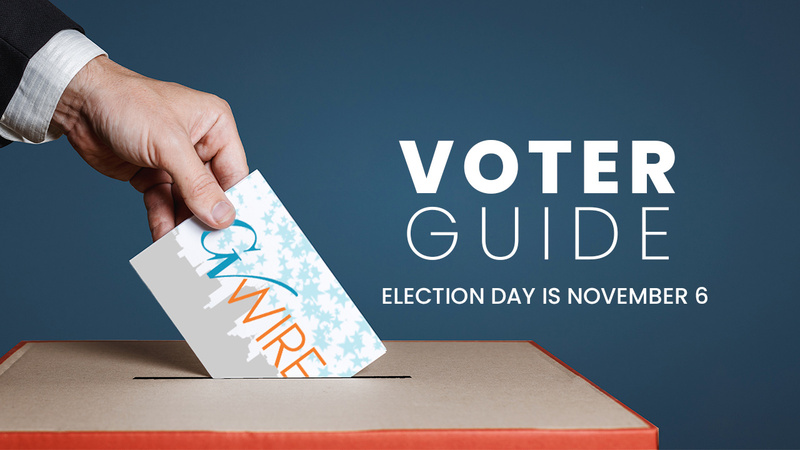 Our guide provides you with vital insights into state and local ballot measures. Essential reading before you cast your ballot. Increased state costs to repay bonds averaging about $170 million annually over the next 35 years. $3 billion from bond proceeds will be used for various housing projects: $1.8 billion to build new multifamily rental units reserved for low-income households, $450 million for infill projects and infrastructure surrounding them, $450 million loan and grant programs for low- and moderate-income first-time homebuyers, and $300 million for loans and grants for farmworker housing. The additional $1 billion would be used for home loan assistance for veterans. Bond repayment will come from the general fund, meaning less money for other programs unless new taxes or fees are passed. Proposition 1 started as Senate Bill 3, authored by Senator Jim Beall (D-Campbell), which was one of the “Big Three” bills included in the 15-bill housing package passed by the Legislature in 2017. California’s housing crisis was one of the top legislative issues in 2017 and, while the package has failed to bring much relief thus far, many pieces, like SB 3/Proposition 1, have yet to take effect. Supporters argue that the gist is that Prop. 1 will provide more housing in a state with an estimated deficit of 1.5 million affordable units. Will it be enough? Not by a long shot. Will it help? Yes. Opponents stop at the first question – will it be enough? – in conjunction with another question – how deep is California’s existing debt? The ask: will the limited relief (estimates predict about 55,000 total households assisted in addition to some new supply) be worth the added cost for our government? This question is quite a bit more difficult, but according to them, the answer is no. No additional costs beyond what flows to the state via Proposition 63, which was passed by voters in 2004 and imposes a 1 percent tax on income above $1 million for mental health services. Proposition 2 allows the state to use up to $140 million per year of county mental health funds from Proposition 63 to repay up to $2 billion in bonds. The bonds would fund housing for those with mental illness who are homeless. In 2016, the Legislature passed a bill to borrow $2 billion in Proposition 63 funds for housing with on-site social and medical services for people with mental illness. However, that bill faced a legal challenge from people saying that Proposition 63 funds are reserved for mental health programs, not housing. Instead of fighting it out in the courts, the Legislature is asking voters to affirm their decision to borrow the $2 billion to house those with mental illness who are homeless. Proposition 63, while well-intentioned, is too restrictive. This commonsense and badly needed fix will help chronically homeless people who have mental illness. The state should come up with another way to fund housing for those with mental illness. Don’t divert funds from mental-health treatment programs. Campaign contributions in support totaled $3.4 million through Sept. 22. Opponents reported no campaign contributions. Bond payments of $430 million annually for 40 years. Total expected cost of $17.3 billion offset slightly by local government savings for water-related projects. Gerald Meral, long involved in water issues and Gov. Brown’s former water policy adviser, wrote the initiative and is heading the campaign. “The state can’t continue to underinvest in water. We have people who don’t have adequate water supplies. It is a human rights problem,” Meral says. California needs to update its aging water infrastructure, especially with climate change making it imperative that the state save every drop possible. This bond provides water for people, farms and the environment. The $8.9 billion will be used entirely for water projects — $2.5 billion for watershed protection, $2.1 billion for water supply and quality, including wastewater treatment; $1.4 billion for fish and wildlife habitat, $1.2 billion for canals and dams, $1.1 billion for groundwater recharge and storage, and $500 million for flood protection. Enough already. Voters approved a $4.1 billion bond for water infrastructure and parks in June, and the state still has money left from the 2014 “water bond.” This bond was put on the ballot by billionaire stakeholders and their paid signature gatherers. The projects selected for this bond were decided upon behind closed doors, and this proposition includes avenues for expensive dams that aren’t nearly as efficient as underground storage. Moreover, this bond won’t produce one drop of new water and it saddles taxpayers with 40 years of new debt. Campaign contributions in support of the bond totaled $4 million through Sept. 22. Opponents had reported no contributions. Increased state costs to repay bonds averaging about $80 million annually over the next 35 years. Total cost with interest is $2.9 billion. This bond measure was developed by the California Children’s Hospital Association. That group also brought to the ballot two previous bond initiatives — the $750 million Proposition 61 in 2004 and the $980 million Proposition 3 in 2008. Both passed. Children’s hospitals serve many poor patients and the low Medi-Cal reimbursement rates pose big financial challenges. About $1 billion would go to eight nonprofit hospitals, including Valley Children’s Hospital. Five UC children’s hospitals will receive $270 million, and $150 million goes to public and private hospitals serving children. The bond increases the capacity and provides the technology to cure more children with devastating diseases. Bonds are not free money. This will obligate the state for 35 years and end up costing nearly twice a much as the amount borrowed. Instead the state should pay down California’s unfunded pension liabilities or improve funding for public school classrooms. We should look at the bigger picture and figure out how to improve health care for everyone in the state. The committee supporting Proposition 4 had received $10.9 million in campaign contributions through Sept. 22. Each of the eight children’s hospitals had contributed $1.363 million. There are no committees registered in opposition. Schools and local governments each would lose over $100 million in annual property taxes early on, growing to about $1 billion per year. Similar increase in state costs to backfill school property tax losses. Prop. 5 is another housing measure which was brought to the ballot via the Legislature (ACA 7). As the most impacted group, the focus is largely on seniors, but Prop. 5 is an amalgamation of bills that addressed a few different, less commonly represented interests beyond seniors. Prop. 5 would allow these groups to transfer their base tax value to a newly-purchased property – even if it is a more expensive home than the one they’re leaving. While there will surely be some exceptions, proponents argue that a majority of these moves will be seniors downsizing. In this sense, they say, the benefits will be twofold: more manageable property taxes for moving seniors and more entry-level homes on the market for new buyers as seniors move out. Opponents point to a high cost -- $1 billion – for no new housing and see a problem. If our main problem is a housing shortage, they ask, shouldn’t most of our efforts go toward new construction or subsidies for first-time buyers? They paint it as a tax break for the wealthy which will benefit few. Repeals a 2017 transportation law's taxes and fees designated for road repairs and public transportation. Nothing. It will reduce state fuel and vehicle taxes by $5.1 billion. It eliminates the 12-cent gasoline tax hike, the 4% diesel sales tax hike and the new annual vehicle fee. State lawmakers passed Senate Bill 1 imposing fuel tax hikes and new vehicle fees. They were reacting to deteriorating roads, highways and bridges caused by budget cuts during the Great Recession and decades of poor legislative decisions. Carl DeMaio, a former member of the San Diego City Council, helped launch a Republican-driven campaign to repeal the hikes. These taxes and fees are expensive and regressive. They impose a big burden on poor families and small businesses, especially in rural areas where people drive long distances. California has some of the highest taxes in the nation. Lawmakers should trim spending elsewhere and properly fund roads. The proposition requires voter approval for future gas tax hikes. There’s no fat to trim, and California needs roads and bridges that move people and goods safely and efficiently. While the cost of everything has been on the rise, the gas tax hadn’t been increased in decades. These taxes and fees are funding 6,500 badly needed projects throughout California. Supporters: Howard Jarvis Taxpayers Association, California Republican Party, House Majority Leader Kevin McCarthy, Rep. Devin Nunes, gubernatorial candidate John Cox, state Sen. Andy Vidak, and Assemblyman Jim Patterson. Opponents: Gov. Jerry Brown, gubernatorial candidate/Lt. Gov. Gavin Newsom, California Chamber of Commerce, California Democratic Party, California Bicycle Coalition, Sierra Club-California, League of Women Voters-California and editorial boards of the Los Angeles Times, San Francisco Chronicle, Sacramento Bee, and San Diego Union-Tribune. There are three committees registered in support of Proposition 6 and two registered in opposition. Through Sept. 22, supporters had raised $4.3 million compared to $30.7 million by the opponents. This measure has no direct fiscal effect because changes to daylight saving time would depend on future actions by the Legislature and potentially the federal government. If it is approved by the Legislature and complies with federal law, the fiscal effect is still predicted to be minimal. Authored by ex-IBM programmer, Assemblyman Kansen Chu (D- San Jose), Assembly Bill 807 introduced this option to the voters. The move to do away with biannual time changes has gained popularity in recent years, with other states like Florida – and even the European Union – taking up similar efforts. Assemblyman Chu and other proponents point to scientific studies that people adjusting to time changes are more likely to experience negative health effects, like greater likelihood of heart attacks and car accidents. Apart from this, they argue, it would make things more convenient. Opponents also cite a rise in car accidents – they argue that schoolchildren and other pedestrians will be at greater risk walking to school before the sun rises. They also raise the risk of added complications for individuals and industry when the rest of the country is operating an hour ahead. There aren’t any clear cut “interests” on each side of the proposal, but some have chosen to take sides. The California Democratic Party officially sided in favor of their member, Chu, while the Sacramento Bee, Mercury News and East Bay Times editorial boards oppose the measure. The Service Employees International Union-United Healthcare Workers West union – the union representing the most dialysis workers in California – spent approximately $6 million to collect the 365,880 signatures required to qualify for the ballot (around 600,000 signatures were submitted). Additional pieces of legislation that would have placed other regulations on the clinics stalled in the Legislature this year. Supporters argue that the two major dialysis providers – DaVita and Fresenius – are too profitable at the expense of quality and patient safety. They say that enforcing profit caps will guide clinics toward reinvestment in new equipment and improved employee training. The cap on profits doesn’t account for expenses like payroll, human resources and legal expenses, or administrative costs. Without including those costs, opponents argue, clinics would be operating with slim margins, and some could close. Some opponents claim the measure is simply a union tactic to gain leverage in future negotiations. Supporters: California Democratic Party, a variety of unions, primarily SEIU. Opponents: California Republican Party, Fresenius and DaVita, medical groups like the California Medical Association and National Kidney Foundation. This measure is the most expensive on the ballot thus far and is likely to stay that way through November. So far, over $70 million has been spent between the two sides. The same housing crisis that brought Prop. 1 to the ballot is so serious that changes across the spectrum of housing policy have been considered. This is one of those efforts: a push by affordable housing advocates to allow local government to control rent. While driven on the front lines by these advocates, AIDS Healthcare Foundation CEO Michael Weinstein – an active political player behind the failed 2016 measures to restrict pharmaceutical prices and require condoms in adult films – funded the signature-gathering and has spent a total of $12,451,836 promoting the measure so far. Supporters of the measure look no further than the sky-high housing prices in the state as cause to vote yes. While few believe that this is the only tool necessary to alleviate the crisis, Prop. 10 advocates contend that it will be one of the most effective. They also argue that local control of growth should be maintained and that this measure will grant municipalities greater autonomy over their local markets. Opponents point to economic studies that show rent control helping a small group of renters while raising rents for most other non-controlled units. They contend that, by discouraging the development of new units by artificially capping prices, fewer units will be built. Not the best scenario, they argue, in a crisis brought on primarily by a shortage in available units. According to the Legislative Analyst’s Office (LAO), a 2016 court ruling (Augustus v. ABM Security Services) that found security guards must turn off call radios on break and meal periods will likely be extended to other emergency employees. To preempt those legal challenges, the ambulance industry successfully placed Prop. 11 on the ballot. The primary argument is the simplest one: that these employees need to be ready to respond at any time. The more nuanced view includes the high costs that would likely be borne by counties if the ambulance companies were forced to hire more employees to fill in during work periods – the LAO forecasts that it could raises expenses for the companies by over $100 million each year statewide. The argument against is also pretty simple: don’t support a single industry looking for a special exemption from state law. Supporters: California Republican Party, the editorial boards of the Mercury News, East Bay Times and Sacramento Bee. Up to $10 million a year to enforce the measure. There is the possibility of a decline in state income tax revenue, likely about several million dollars a year, from farm businesses because of decreased sales. It is likely to increase prices for eggs, pork and veal. Voters passed Proposition 2 in 2008. It created a law that ostensibly banned the confinement of farm animals in a way that didn’t allow them to freely move about. But the egg-grower industry responded by saying the law didn’t end cages for chicken. This new measure spells out space requirements and phases in a cage-free requirement for hens in 2022. You believe that it is cruel and unsafe to confine farm animals in cramped spaces. You believe that bigger cages will reduce the risks of food poisoning and pollution. Perhaps you also believe that concerns raised in opposition by the ag industry are overblown. You believe that the statute doesn’t go nearly far enough to protect farm animals and you want a measure that will get the job done right. Or you are concerned that the statute is regulatory overreach that will raise prices while driving some farmers out of business. Supporters: Humane Society of the United States, Central Valley Eggs, American Society for the Prevention of Cruelty to Animals, California Democratic Party, United Farm Workers, and the editorial boards of the Los Angeles Times and (San Jose) Mercury News. Opponents: People for the Ethical Treatment of Animals, Association of California Egg Farmers, California Pork Producers Association, Humane Farming Association, California Republican Party and the editorial boards of the San Francisco Chronicle and Sacramento Bee. There is one committee registered in support and one registered in opposition. The backers had raised $6.13 million through Sept. 22. Opponents had raised $550,000. Establish a business license tax rate for the cannabis industry up to $12 per canopy square-foot for cultivation, and up to 10% on gross sales for medical dispensaries and all other businesses. 90% of the revenue goes to the general fund, with 10% for a Community Benefit Fund with spending decided by a special commission. The measure is not a sales tax. The city estimates this proposed tax will generate up to $10 million from the cannabis Industry should it become legal to operate in the city. The measure does not allow for the cannabis industry to operate, but it establishes a business license tax rate. The council is working on proposed regulations. There is no estimate of how much it will cost the city to enforce cannabis laws and regulations. The city council voted 5-1 in June 2018 to send the item to the ballot. Because some of the taxes go for a specific purpose (Community Benefit Fund), two-thirds voter approval is needed. The tax would add another revenue stream (estimated up to $10 million), with 90% deposited to the general fund. Supporters say it would help fund public safety, roads, and other core services. It would also help eradicate the black market for cannabis. It sets the tax ceiling, allowing the city council to set the exact tax rate by vote. The council can vote to raise or lower the tax rates based on market conditions. Ninety percent of the money goes to the general fund, with no guarantee on how it will be spent. The remainder of spending will be decided by an unelected commission. It’s unknown how much legal cannabis would cut into the black market. Cannabis advocate Michael Green established a Yes on Fresno Measure A committee. The argument in support came from three council members, Fresno Police Chief Jerry Dyer, and Fresno Fire Chief Kerri Donis. There is a No on A committee chaired by conservative activist Kim Castro. Cleans up four parts of the charter that have been overruled by either state or federal law or an interpretation of a court case—a) ending the prohibition on candidates for council and mayor fundraising during non-election years; b) ending the requirement that the city manager must live in Fresno; c) ending the prohibition on residential water meters; d) ending the requirement that the city council raise taxes to balance the budget. There will be a one-time charge of less than $5,000 to the general fund to implement the changes. There is always the potential for a legal challenge regardless of whether voters pass orreject the measure. The city council voted 6-1 in August 2018 to place the item on the ballot so that the city charter complies with current law or interpretations of court rulings. The measure needs 50% plus 1 vote approval to pass. This removes language in the city charter that no longer applies. It must be done at some point. Laws and court interpretations can change in the future. If challenged, the advice provided by the city attorney (especially on the off-year campaign prohibition) could be overturned by the courts. There is no harm in leaving the charter as is because these items are currently unenforceable. No groups or individuals have made an argument for or against. Shall the measure imposing a 3/8 percent sales and use tax, estimated to generate $37.5 million annually for 30 years, improving park safety; improving accessibility for persons with disabilities; updating and maintaining playgrounds and restrooms; providing youth and veteran job training; improving after school, arts and recreational programs; beautifying roadways; and creating parks and trails in neighborhoods without access, with citizen oversight, be adopted? Supporters estimate Measure P would raise $37.5 million annually for 30 years. That averages to $39 per year (or $3.25 per month) for the average Fresno household. Supporters of the parks tax measure, including the Central Valley Community Foundation led by former Mayor Ashley Swearengin, collected signatures to qualify the proposal. Mayor Lee Brand floated an alternate tax measure, benefiting public safety and parks, but withdrew it before a council vote when he realized it didn’t have enough support. Fresno parks are in dire need of repair, maintenance, or even just being built. Residents in the southern part of Fresno long have noted their lack of parks. City Hall has not adequately funded parks, which provide universal community benefits. The tax revenue is protected because it goes into a specific account that cannot be taken by the state or federal government for other purposes. The measure creates a nine-member oversight board to make sure money is spent appropriately. The money would also be used to expand the park system into areas lacking parks. That includes areas that the state EPA designates as having unhealthy air. The measure would fund community service officers and park rangers to patrol parks. Taxes are too high, and this will lead shoppers, especially for big-ticket items like appliances, to go outside the city. Increased funding for parks should be made by elected city leaders through the budgeting process. Public safety is a higher priority. If there is going to be a tax, it should go to police and fire to help their mission of keeping Fresno safe. Why have parks if you don’t have enough police to keep them safe? Only two-thirds of the revenue would go to new and current parks. The remaining third goes to other programs such as arts, job training, after-school programs, and the San Joaquin River Parkway. The measure also creates an unelected commission that would make spending recommendations. This will be the local measure with the most money behind it, for and against. The Yes on P campaign had raised nearly $750,000 through Oct. 4, with significant contributions from the Valley Community Foundation. The effort also has received five-figure donations from conservation advocates Coke Hallowell, Paul Gibson and Virginia Eaton. 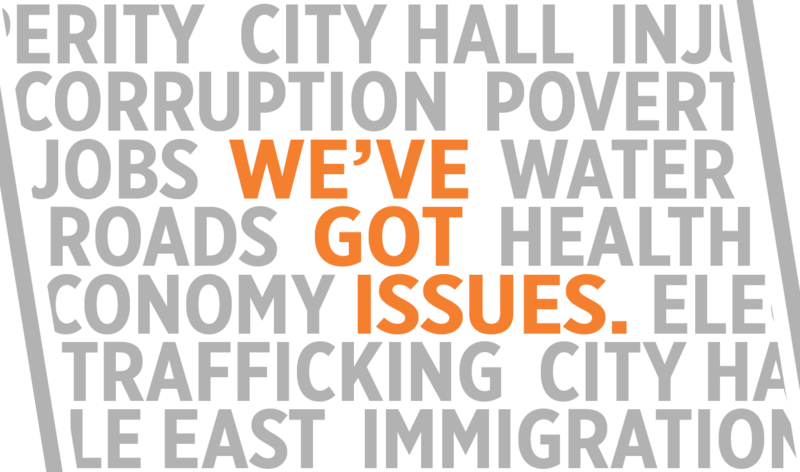 The campaign features high-profile endorsers such as Swearengin, former mayor Alan Autry, and groups representing realtors and doctors. The No on P campaign is being led by the unions representing Fresno’s fire and police unions, as well as the Fresno Chamber of Commerce. Councilman Garry Bredefeld also opposes. The campaign had raised more than $100,000 through Oct. 4., much of the funds coming from developers. Measure Q asks Fresno voters to change the charter to require the city council to pass a balanced budget each year. The city estimates there will be a one-time fee of less than $5,000 to implement. If approved, the city would need to find additional revenues (including the possibility of raising taxes) to balance the budget if there is a deficit. That could lead to an unknown burden on taxpayers. Promoted by Councilman Steve Brandau and Mayor Lee Brand, the council approved placing the item on the ballot, by a 4-3 vote in Aug. 2018. The measure needs majority voter approval to pass. A balanced budget is already implied in the city charter, but this would give the requirement more teeth, closing a loophole. Balancing the budget is fiscally prudent and ensures the city does not spend more than it takes in. This measure is not necessary. City Hall already submits a balanced budget for the council to consider. By forcing a balanced budget, it takes power away from the council to make changes to the budget presented to them. No group has filed financial paperwork, nor made an argument for or against. When council voted to place the item on the ballot, Brandau, Clint Olivier, Luis Chavez and Garry Bredefeld voted in favor; Esmeralda Soria, Oliver Baines, and Paul Caprioglio voted against.